Clearly I am excitable. 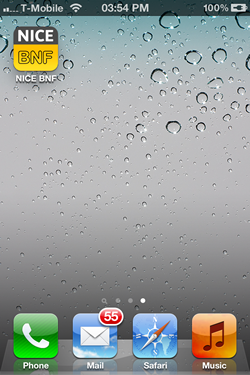 When I learnt of the new iphone and Android app from the nice folks at NICE, then you know what is coming. I’ll tell you why. 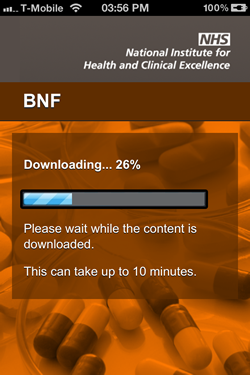 I spent my top dollar about a year ago on a BNF Iphone app only to be told recently that it has been withdrawn and was signposted to another product: BNF 63 by MedHand. Don’t get me wrong: The MedHand product is a great product that represents value for money at £29.99. On my salary, that represent a big slice of my diminishing spare budget! The prospect of having to buy a new copy twice a year filled me with dread! I want to use technology, but at what price? So I get by with my copy at work and access on the internet at home. 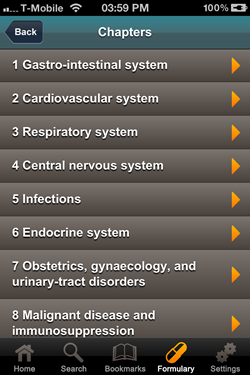 But if I have this information at my fingertip, I will use it more and be a better practitioner for it. 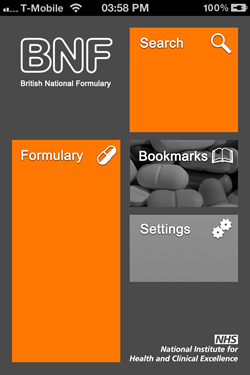 NICE has produced this stunning BNF app for iphone and android aptly called NICE BNF. 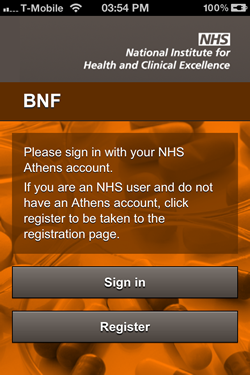 It is free for those of us who work in the NHS with NHS Athens password. 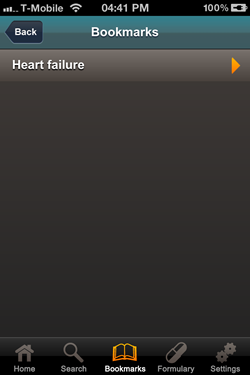 That is the best news for me today. 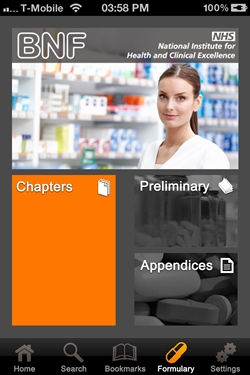 The app has essentially the features you will expect from a great app including powerful search facility. I will therefore not ramble on. What I said about my previous review of a NICE app resonates with this one. 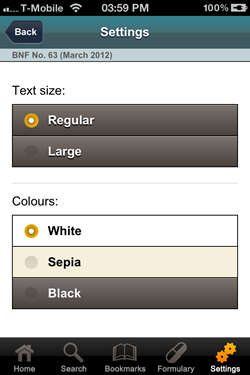 What I will say is that this product is downloaded locally which is great for offline use. Brilliant. Sit back and enjoy the screenshots below. 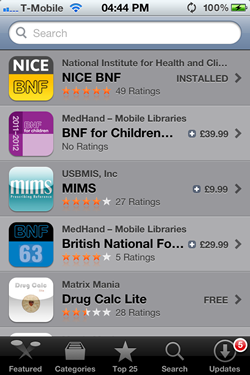 Thanks NICE….and by the way can I ask for similar app for BNF for Children? 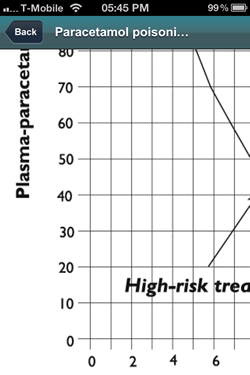 That will be of great help to paediatric pharmacists like myself. It does look pretty: won’t you say?